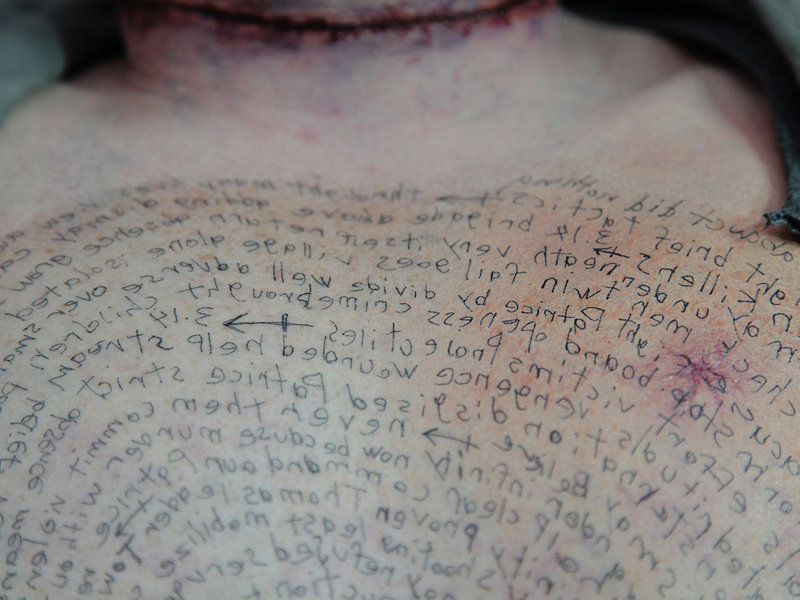 The spiral hypergraphia that appears on Brennan's body was handwritten and later applied to A.J. Buckley's body as a temporary tattoo. The content of Brennan's writing oscillates between the logical and chaotic; and references abduction, war, and justice.